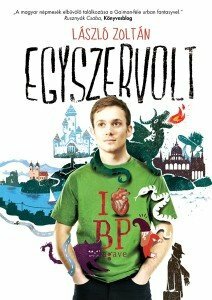 Közzétette: archnihil Szólj hozzá elsőként! Karsa Harlan would be an ordinary human being, only if. If he didn’t lose some of his memories from time to time, if he knew anything of his ancestry or his parents, if he was not named named after a famous sci-fi author, and if he was not working at the Pathology. Among all of the above, he only has a problem with the Pathology, and, by the way, even all these “if”-s cannot stop him from living a whole-heartedly everyday life. As such, he craves adventure, but not really that much. He is the sort of guy who always has something hanging above his head, but these things do not do any harm up to the point when the last small thing arrives, and then everything goes awry. As such, during his next memory loss, all he gets is a bad date, a lost motorcycle (which he payed in parts), but at the same time, stranger and stranger visitors knock on his door, and thanks to their beneficial activities, a world invisible to all simple human beings unfolds for Harlan. 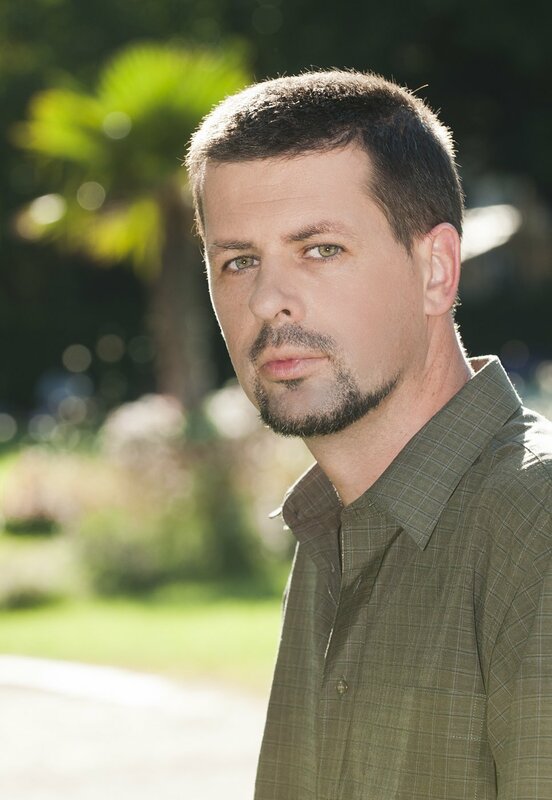 Zoltán László put himself to the test in several subgenres of fantastic literature, for example, cyberpunk (Hyperballad), high fantasy mixed with sci-fi (Nagate), or hard sci-fi on time travel (Flux). His newest novel, Once Upon a Time, was published by Agave Publishing House during the Week of Books Festival, and in this, he takes a glance at the genre of urban fantasy with great enthusiasm – at the first sight, the only familiar thing is Hungary as the location, which can be found both in Hyperballad and Flux. And maybe Karsa Harlan himself, who, just like the previous protagonists of Zoltán László, simply goes with the tide, and, in the meanwhile, the agents of powerful, faceless corporations push him in front of themselves, just like some sort of pawn. But there is another gentleman whose stylistic accessories can be felt next to Zoltán László’s, and he is Neil Gaiman. My guess would be that this novel is just like Neverwhere if it would take place in Budapest instead of London. All the nooks and corners have miracles inside, there is a herbalswoman behind the waterfall at Westend, and a giant holds the Parliament in his hand. The inhabitants of this strange world are all under some sort of gaimanian spell, from the goblin in the wheelchair to Vago, the administrator, who looks just like some sort of bureaucratic remnant of the system before the regime change, not to mention the piquant mixture of Mr Croup and Mr. Vandemar. Even Harlan has a close resemblance to Richard Mayhew or Fat Charlie. I must admit that because of my expectation, I suffered from a sort of double vision during the first few pages. On one hand, I enjoy reading stories on Gaiman’s fallible, small-time characters, yet I despise the same treats in a Hungarian character, for there were many pieces of local art which successfully made me hate them. Yet Zoltán László shows pretty soon that the two are basically the same, the only keyword is “how”; one can feature a local everyman on a gaimanian level without making him look petty. All characters are equally well-written, and a special praise goes for the female cast. The same thing goes with the elements of Hungarian folklore, for the seven-headed dragon merges into our everyday reality just like the animal characters of fables in Gaiman’s works. 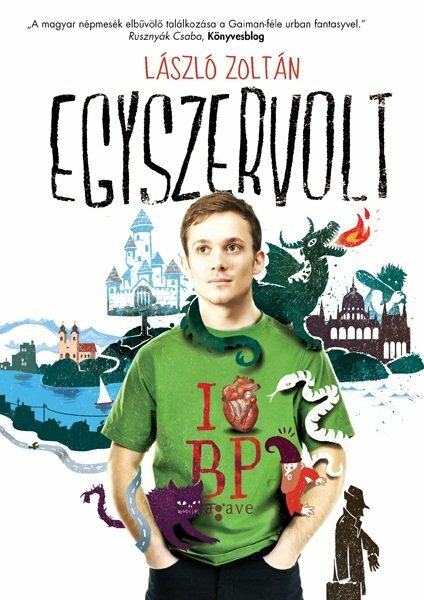 And now I got a strong itch to list all the Hungarian fairy tale elements, but I worry that I might ruin the pleasure of discovery. There is only one part which, at first sight, seems way too sci-fi-ish, yet as time goes by, it merges in well with the rest of the fantastic. Not to mention that Gaiman himself experimented with crossing different genres; just think of Sandman. It goes without saying that dry humour really goes well with the world depicted by László. For make no mistake, this is still a novel by Zoltán László, it doesn’t turn into a Gaiman epigone. He does not copy the ingredients of the English gentleman, he only takes some and shapes them to fit into his own style. And now that we’re at it, I remember that Zoltán László put Neverwhere into one of his annual list of five best books with a little addendum that he did have a disagreement with the ending. This is clearly visible, and although I do not want to spoil anything, but the readers should not expect some sort of big twist. I myself prefer this closure in its simplicity to the endings of the previous novels by László: straightforward, honest, positive and, most of all, filled with self-confidence. What else to say? If you enjoyed the previous pieces written by Zoltán László, you should try this one out, too. If you were captivated by the previous Hungarian folklore-fantasies, such as Lead Forest, you must acquire this. If you like Neil Gaiman, don’t miss this one. Or if you are simply interested in a good native fantastic novel, for Once Upon a Time deserves to be mentioned on the same page as Stardust or several other foreign novels, and the author didn’t even had to use his pseudonym Brian Ephrum. However, it’s not the Hungarian name on the cover or the book’s usage of local folklore what makes this piece of literature really Hungarian. But simply because the waterfall at Westend will never look the same after this. And this already made reading this worthwhile.